Unsuspecting consumers who answer yes to the question have their voice recorded by the scammers, who will splice the audio onto other questions and sign them up for services that can show up on their phone bill. The ploy has once again become so popular that the Federal Communications Commission (FCC) has sent out an alert to consumers. The agency has received many complaints from consumers saying that they were duped by supposed representatives of important organizations like mortgage lenders and utility companies. 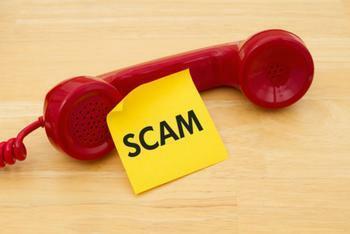 The FCC has stated that consumers who receive a call opening with this question should immediately hang up the phone and report it to the Better Business Bureau’s Scam Tracker and the FCC Consumer Help Center. Those who have previously been targeted by the scam should be sure to check their bank, credit card lender, and telephone company statements for any unauthorized charges. If you answer and the caller asks you to hit a button to stop receiving calls, just hang up. Scammers often use these tricks to identify, and then target, live respondents. If you receive a scam call, write down the number and file a complaint with the FCC so that the agency can help identify and take appropriate action to help other consumers. Ask you phone service provider if it offers a robocall blocking service. If it doesn’t, encourage it to offer one. Consumers can also visit the FCC’s website for information and resources on currently available robocall blocking tools. Consider registering all of your phone numbers in the National Do Not Call Registry. For more information, consumers can visit the FCC’s site here.